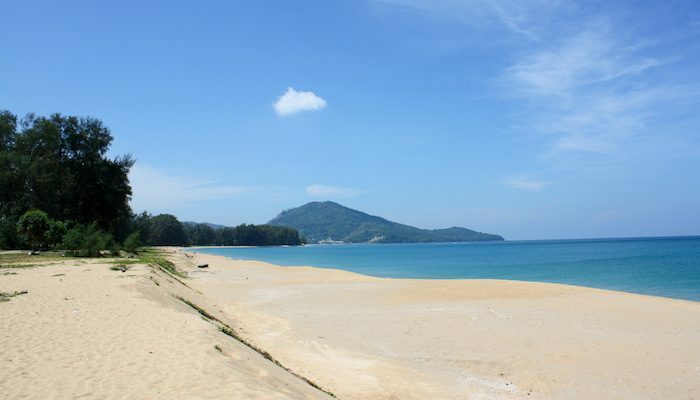 Bordering Sirinat Natural Park, Nai Yang Beach is another long west coast stretch of sand which passes the Phuket airport and merges with several other beaches at the north end of the island. At low tide, you can run about 8.5 miles one way, arriving at the extreme northern tip of the island. Because the park has preserved so many trees here, the beach enjoys more shade than other parts of the island, and is a popular location to spot giant sea turtles. Access in the south is via the 4027 Road. Note: The Sarasin Bridge, just to the north, has am 0.4 mile pedestrian walkway with great water views. Unfortunately, the road approaching the bridge from the south is very busy, and not safe/pleasant for running.